The most important thing ever in fashion is discovering your personal style, that is the only way you can truly express yourself and feel fulfilled and that is also what makes you distinct. Style Icons give us inspiration for our personal style, but who we consider as Style Icons also depends on our personal style….. I probably have a long list of Style Icons but today I’ll be with just three. Before I get on with that, just in case you don’t know; SBLWeekly simply implies to StyledByLydia Weekly . Check out my first episode of the weekly version here as well as the second here. I’ve decided to make it 3-5 outfits weekly for now, so I can keep up and be consistent. Also, so I can give details without making the post too long. For this week’s outfit ideas, I pulled together 3 outfits, inspired by 3 style icons I totally admire like said before- Solange, Ashleigh and Ada. Solange is such an original and expressive style icon. I can pretty much see Solange in this dress and arm cuff. Although I think she prefers mules, this outfit in one is just the Solange way! Ashleigh just knows how to stylishly pull off outfits, and the way she styles her sweaters/cardigans is very chic! I can totally see her in this outfit. her coats! So comfortable yet chic! What do you think about my Style Icons? Do we share similar Icons? What do you think of those outfits? Kindly drop a comment, I’ll appreciate it. PS: You can check them on Instagram and compare with these. Do tell me what you think, it would mean a lot to me. You can also follow me on Instagram – @thelydiamark . 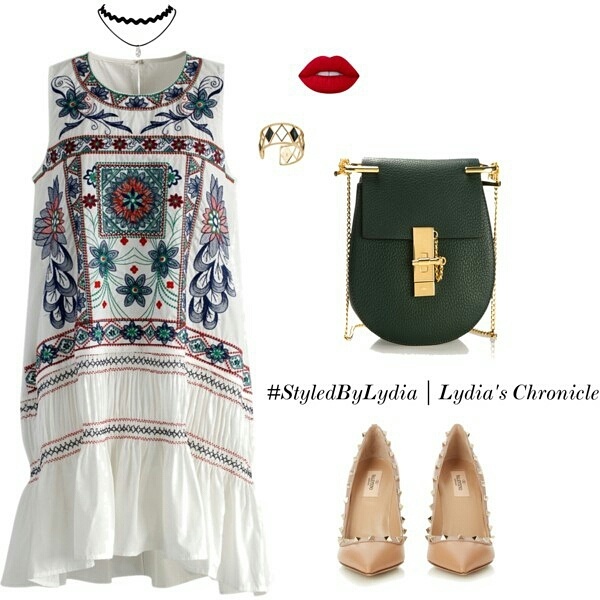 Follow @lydiaschronicle for more style inspiration and updates. It would be worth your time I promise. Later guys, have a lovely week! love dis post nd would love to see more of it, thank God it’s weekly 😀 do i really v style icons? i haven’t tot about it, i admire kim kardashian’s style a lot, she’s daring, really like dat, rihanna too, love dat anything looks gud on her nd den Nigerian style bloggers are really doin a great job, u inclusive, I’m usually inspired one way or d oda when I read ur style posts. I would might do nigerian style icons in one of the episodes. I don’t think I have any style icons maybe just people I admire, does that count? I love the Ashleigh outfit. Totally me. Oh yes it does. Yes I can relate to that outfit. Thanks for dropping by love. Love this SBL weekly series and I’m looking forward to more posts. I can totally see myself pulling off that Solange look. Solange is one of my style icons and the Ada look, it is so Ada but i think she would rock the outfit with a pair of boots or a pair of men’s shoes or super comfy flats. That outfit is so fire! Ada’s look is effortless but chic! Keep it coming! She is always effortlessly slaying, Thanks you.